We are so excited to welcome Paul Galloro to our studio for his transformational experience, Chakra Dance Meditation! Through movement, music, and meditation, we will explore our deep relationship with our subtle energy body. When dance (defined as the way your body moves to music) is combined with breath and meditation, it has a direct effect on the energy flow within your body, which will have an affect on your experience of life. Designed to cleanse and balance your charkas, the freestyle dance transforms into yoga-based movement and concludes with a chakra meditation. When your chakras are returned to their beneficial frequencies, inner peace, wellbeing and joy become our natural state. Pre-registration is required. Paul Galloro is an advocate for Love and shares the message of miracle-mindedness through his ministry, 1:1 spiritual coaching practice, experiential based spiritual workshops, and online meditation programs. For more information on his work visit paulgalloro.com. Enjoy an evening of healing and soul expansion through creating, connection and community as we MAKE-MOVE-MANIFEST! Join Tiz as she guides you on an intuitive painting experience, then Shake Your Soul as Anja leads us through a mindful movement & chakra dance, and we close the evening with a beautiful Full Moon Healing circle led by Liz. Space are limited to 12. Honor and connect with your Mom at our Paint with Mom event Sunday May 12th from 9am-11am. Join us as we sip on nourishing teas and indulge in some yummy locally made treats as we paint together and celebrate our time with mom together! A short meditation begins our morning before we delve into our painting journey! Each participant receives a 16"x20" canvas and gorgeous paintcolours to choose from! Join us and enjoy an evening of creativity while painting with your friends. Enjoy sipping a delicious Roost Cafe drink and your own 16x20 stretched canvas as you are guided to paint a lovely painting, allowing yourself the joys of the present moment that painting brings. 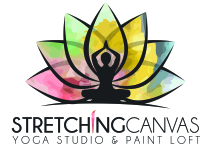 Enjoy this Intuitive painting experience together! There will be a 10 minute centering before delving into the painting process. Guidance is given to begin your creative journey. Each participant receives a 16x20" stretched canvas and unlimited tea. I am so looking forward to painting with you!